Tim Coghlin is a native of Summerland, British Columbia. Prior to coming to the United States, he played junior hockey with Penticton of the British Columbia Junior Hockey League. Aside from a short stint with the Fife Flyers of the British Premier League as a player and assistant coach, Coghlin, who signed with the Vancouver Canucks, spent all of his collegiate playing and coaching career in the State of Wisconsin; as a player at UW-Stevens Point, and as the head coach of the Green Knights at St. Norbert College in De Pere. He continues to make his home in Suamico, and has had a noticeable effect on youth hockey in the Green Bay area because of his success as a coach, and his willingness to become involved with youth programs. In four years with the Pointers, Coghlin was twice an all-America selection as a defenseman, and three times named as All-NCHA. Coghlin was the Captain of the 1989 NCAA Division III National Champion, Stevens Point's first National Championship hockey team. He remains one of the school’s top all-time scoring leaders, and is a member of the UW-Stevens Point’s Hall of Fame. Coghlin holds Bachelor’s Degree in communications, and Master’s Degree in education from UW-Stevens Point. 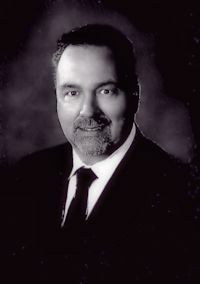 Tim Coghlin became the head coach at St. Norbert in the 1993-94 season, posting a 10-9-1 record. Finishing sixth in the league in 1994-95, it would be the last time that a St. Norbert’s team would finish out of the top half of the NCHA standings. The Green Knights finished fourth in 1995-96, and won the league title in 1996-97. Over the next 18 season, St. Norbert would finish first a stunning 14 times, and no lower than fourth in the other four seasons. His teams have won the NCAA Division III National Championship in 208, 2011, 2012 and 2014, and made Frozen Four Appearances in 2003, 2004, 2006, 2007, 2008, 2010, 2011, 2012, 2014 and 2016. Player development has also been one of Coghlin’s priorities. Four of his players have won the prestigious Sid Watson Award, given to the top player in small-college hockey each year. Coghlin was named NCHA Coach of the Year in 1998, 2002, 2005, 2006, 2008 and 2010. He was also the recipient of the Lee Remmel Award for Outstanding Achievement in April 2005. Coghlin and his wife Barb reside in Suamico with their children Joseph and Faith.